If you've been using an LG Optimus Pro for the last few months and wondering when you'll be able to ditch the manufacturer's custom skin, wonder no more. LG's super-sized flagship is the latest device to grace CyanogenMod's ever-growing list of official builds. 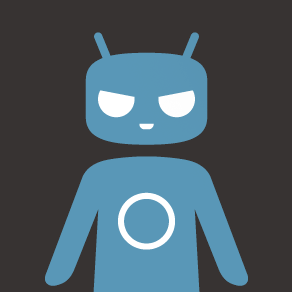 Two nightly ROMs based on CyanogenMod 10.2 (Android 4.3) are already available from Get.CM. In case you've forgotten, the Optimus G Pro is a bigger, beefier version of the Optimus G intended to go head to head with Samsung's Galaxy Note family. The phone uses a Snapdragon 600 processor, 2GB of RAM, a 5.5-inch LCD with 1080p resolution, and a 13MP camera. It also uses Jelly Bean 4.1 and LG's "I Cant's Believe It's Not TouchWiz" skin, so the option for semi-clean Android will be a welcome one for those who've got root and a custom recovery. The international model (e968) is the only one that's getting CyanogenMod support for now - sorry, AT&T users. At the moment there are two nightly builds available for download with more coming down the pipe. Since there's no 10.1 build, it will be a while before a "stable" version is ready. Flash with caution, intrepid ROM users, and it never hurts to make a backup through the recovery of your choice. Don't forget the Gapps package if you want access to the Google Play Store and various Google services. P.S. CM team member Ricardo Cerqueirda posted a build of ClockworkMod Recovery that's confirmed as working for the E986.